As I was having breakfast yesterday, I glanced from the kitchen into the living room. 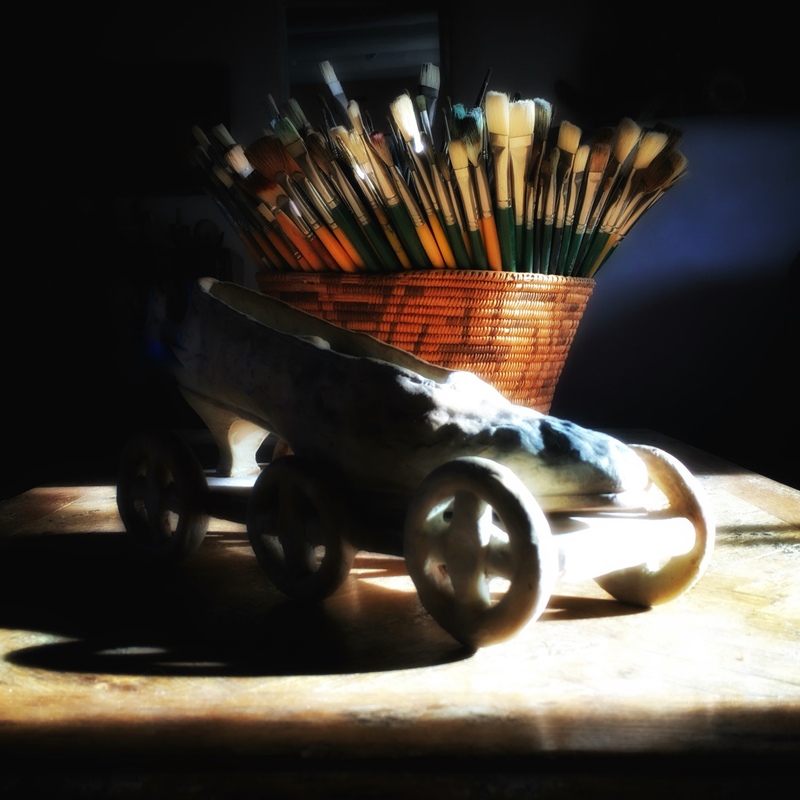 The morning sun was streaming through the window, lighting up my collection of brushes. I decided it was time to try my new iPhone 6s Plus camera. A couple of quick adjustments, a little playing with the sliders, and this was the result. What a lovely bouquet, and the light is exquisite! Thanks, Karen. So glad you like it.